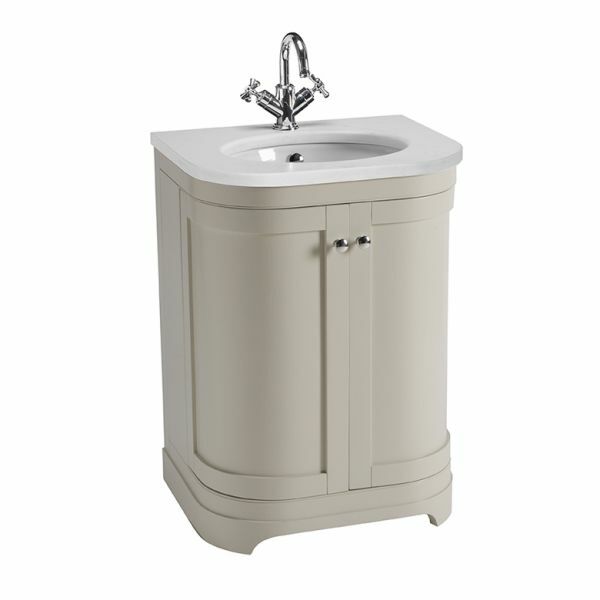 Combining superb craftsmanship with stunning cabinetry styling, the Marlborough bathroom furniture collection encompasses a stylish 600mm curved bathroom unit. This hand painted cobblestone finish freestanding unit features 2 curved doors, providing you with plenty of bathroom storage space. This unit comes with an underslung ceramic basin and a choice of honed marble or stunning solid surface worktops.